I wanted to knit Richard a hat and a pair of gloves for his new job in the city. 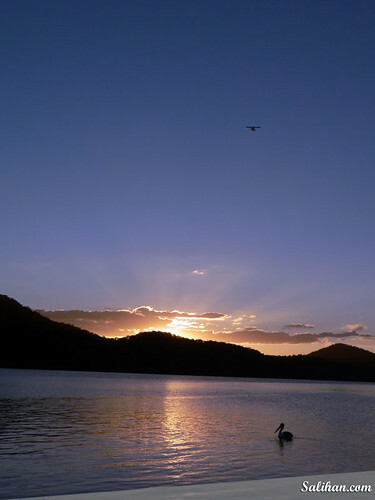 He is commuting to Sydney everyday; that’s an average time of three hours of travelling each day! So the wool for his hat and gloves has to be soft and warm for his wintery journey. There was no doubt in my mind that I needed Malabrigo. I bought two skeins of Tortuga from Jolene who has an online shop selling Malabrigo. I don’t think you can buy it online elsewhere in Australia. Malabrigo didn’t disappoint. It’s fantastic value for money. 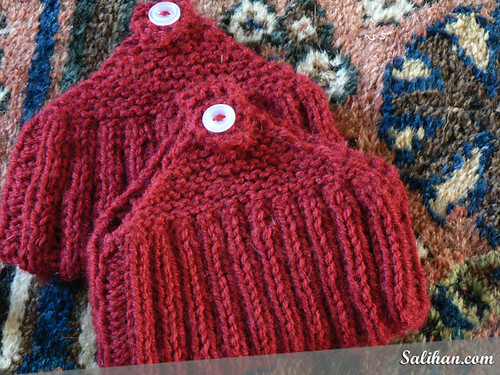 I knitted a hat and two pairs of gloves for $32, including postage! The quality of this hand dyed merino wool is the best I’ve ever knitted with. It’s luxuriously soft and warm. The subtle colour changes makes it even more exciting to knit with. The only downside is that the gloves I made pills. I think the friction from being stuffed into pockets probably caused the pilling. 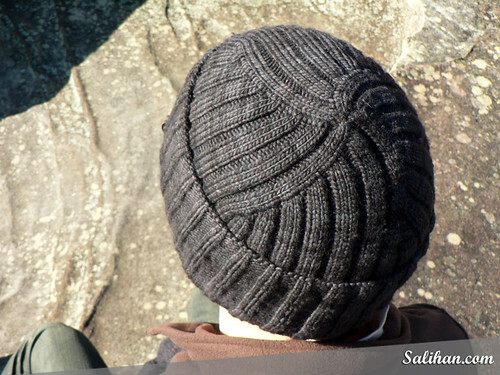 Richard picked the Jacques Cousteau hat pattern because he LOVES the spirals at the top and the big foldover bit (that’s the technical name, isn’t it?). 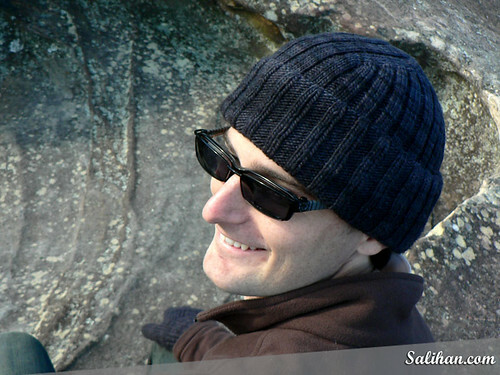 The wool feels softer the bigger the surface area so it was just a pleasure to knit with. And then the troubles began. My first attempt at full fingered gloves and boy was it a pain right to the end. 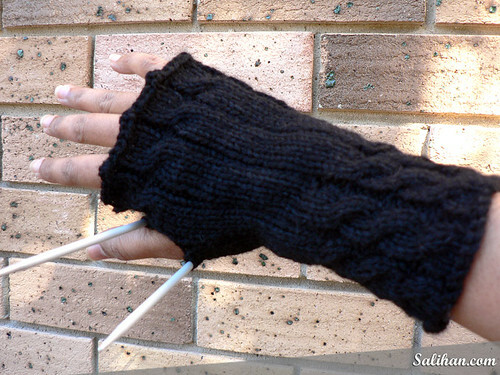 I only wanted to knit one pair of gloves for Richard and picked the Cigar gloves from Knitty. 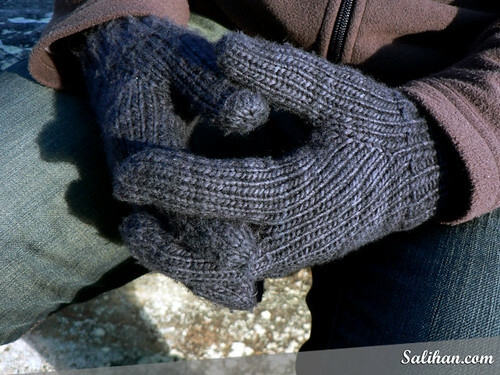 I tried it on his hand so many times as I was knitting it but after I finished the entire glove, I realised that the glove was too small and the cuff kept riding up his hand. Grrrr! 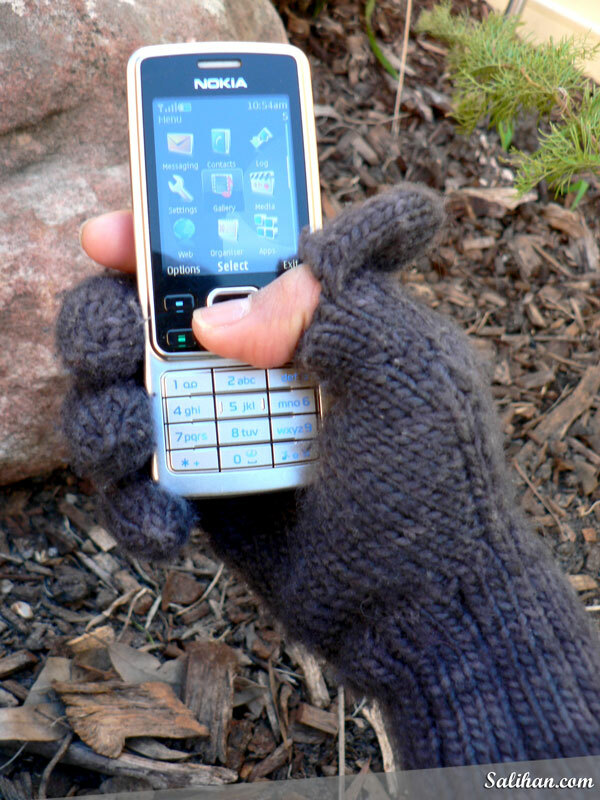 So I thought he probably needed a different type of thumb gusset to fit him better and knitted up a pair of Ken gloves. I thought I was going alright. I finished the pair and then realised they were still small for him! The cuffs still ride up and some of the fingers are too short. I have underestimated how wide his hands were. I kept thinking that he has small hands because his fingers are the same length as mine, but his hands are wide, MUCH wider than mine. But Richard doesn’t complain. He says it fits him fine and they keep his hands very warm so he is happy. What a wonderful, appreciative husband! 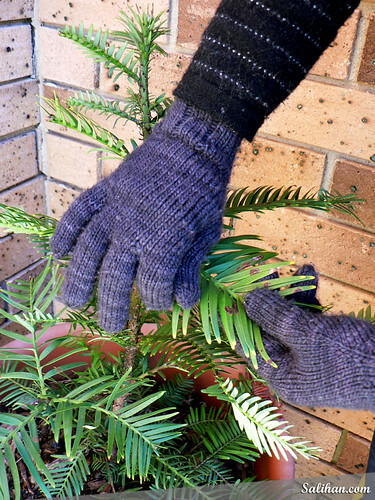 I have learnt an important lesson from knitting these gloves, beside measuring your recipient’s hand properly. The holes between the fingers annoys the heck out of me. I tried all sorts of different ways to reduce the size of the holes. But I figured the bottom line is to darn the holes properly. 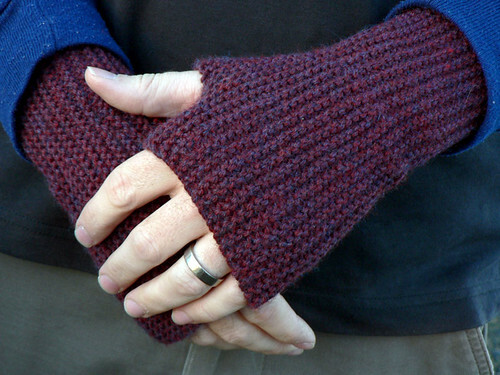 This Knitty article is very good at explaining how to fix those very bothersome holes up. So I had a right hand Cigar glove which fitted me but not Richard. Drudgingly, I finished the other glove and I’m glad I did. It’s soooo warm and what a near perfect fit! 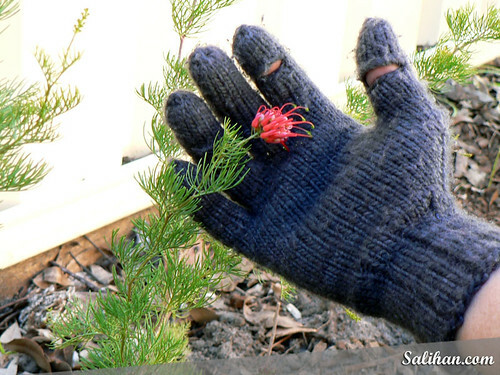 I modified the pattern to be full fingered and also to included buttonholes on my right thumb and forefinger so that I can flip the glove tips over. Why? So I can sms, write and take my train ticket out of my pocket. I got the idea from other Ravelers who have done the same thing to their gloves. There are so many clever people out there! Winter is here. The sun disappears into the horizon at five o’clock and my body slows down to a halt. I’ve spent the last couple of weeks pretty much knitting in front of the television for hours on end, next to the heater and with the cats close by. On one hand, I wish spring was here and the days were longer, but then I wouldn’t have a good excuse to spend so much time indoors, knitting the cold away. Not that I need an excuse to knit. The hours spent with my pointy sticks have rewarded me generously. I have knitted two scarves for charity, a Clapotis shawl, three Fourteen neckwarmers and a pair of Garter Stitch Mitts for Richard’s 31st birthday last Friday. The latter three patterns are by far my most favourite knits. I absolutely adore them. I wear this almost every single day now. 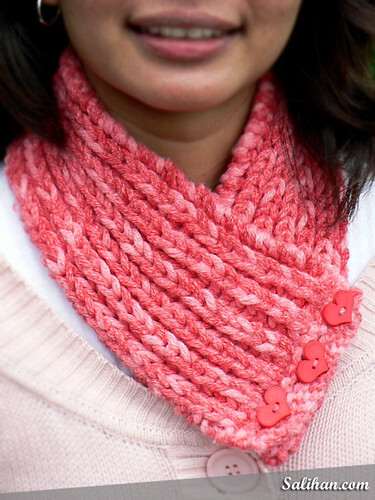 It’s soft and warm, and can be worn in two ways – as a scarf or a shawl. Happy birthday, R! This is a wonderful present for the man in my life. It’s simple, practical and warm. I love the way they look and it was such a clever pattern. 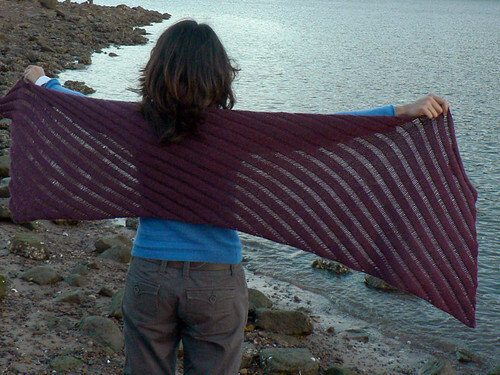 I used the same yarn as the Clapotis and these photos really show the true colour of the red tweed yarn. I don’t normally knit anything more than once. But I’ve already made three Fourteen neckwarmers. That’s how much I love this pattern. Panda Zoomy is the perfect, cheap yarn to use for this and it knits up really quick. I’ve made a green one too but I was so excited to give it to a friend as a belated birthday present that I forgot to take photos! Doh! We’ve had a wonderful weekend celebrating Richard’s 31st. There is no better way to end it than by watching the sunset over the river. Beautiful. I’ve finally finished knitting the mother-daughter headband and gloves sets for my colleague, Rae and her teenage daughter, Ebony. 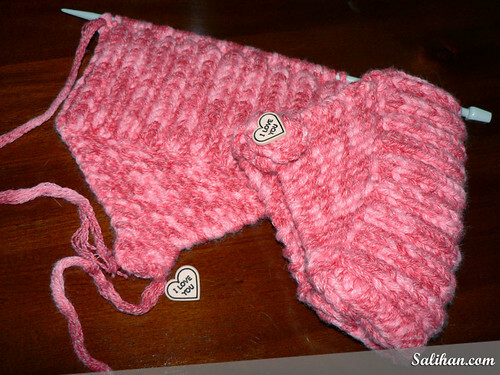 The school girl knits were completed earlier this month using cheap, yucky acrylic. 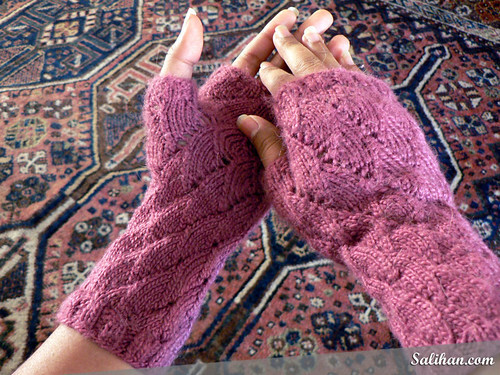 They still turned out lovely but I hated the feel of the yarn against my fingers. This time I knitted for the very first time using Bendigo Woollen Mills wool and I was so MUCH happier to knit with something alive! 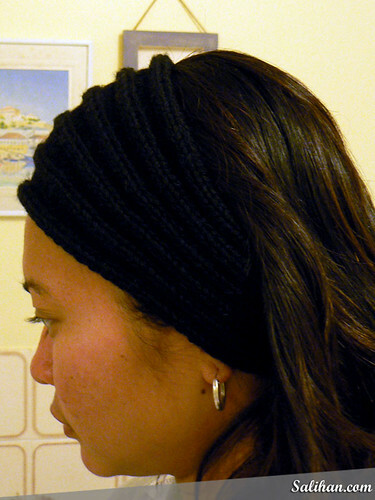 I knitted the headband from DROPS design and the pattern wasn’t very clear when doing the increases and decreases. It wasn’t bad with a little bit of thinking. I know I would have fudged it up if I was a beginner knitter. 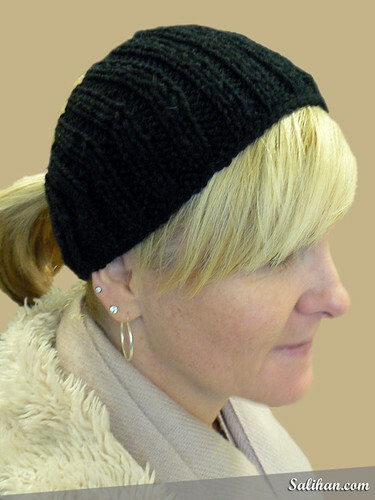 The Calorimetry was so much quicker to knit (took only one night!) because I didn’t need to think too much. Just follow the directions and it turned out perfect. The DROPS headband took me 3 nights! Then I hunted around Ravelry looking for the right gloves for Rae. I didn’t want to knit her the same gloves as her daughter because I don’t like knitting the same pattern twice. I like to challenge myself with something new. 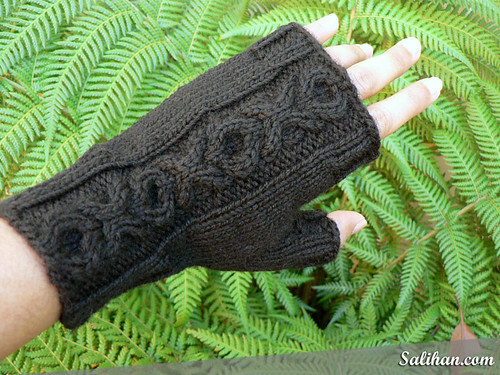 I cast on for Fingerless Mitts with XO Cables and boy, did I get a challenge! 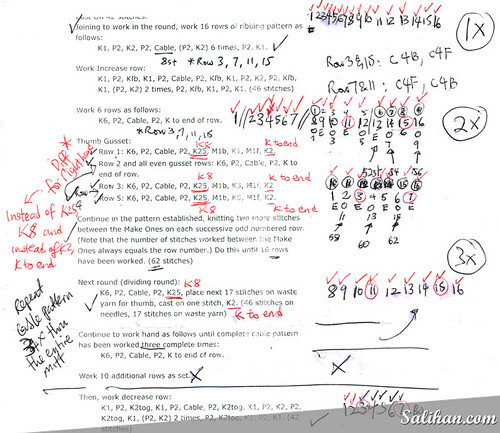 The pattern was the most frustrating pattern I’ve ever tried to follow. The weird thing is that according to Ravelry, 6 other people have knitted this pattern and not one said the pattern was crap! 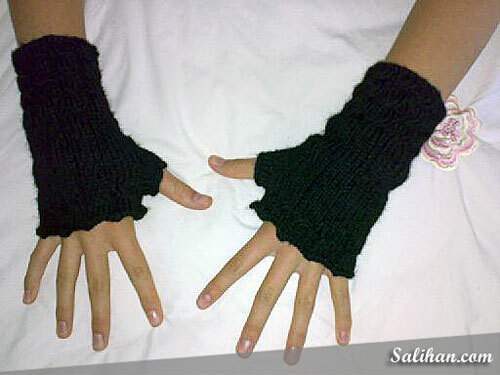 One knitter even said “they were quick and fun to make”. Is it just me? To look on the bright side, the gloves look and feel terrific AND the struggle is finally over. I’m putting down my dpns for a long while. 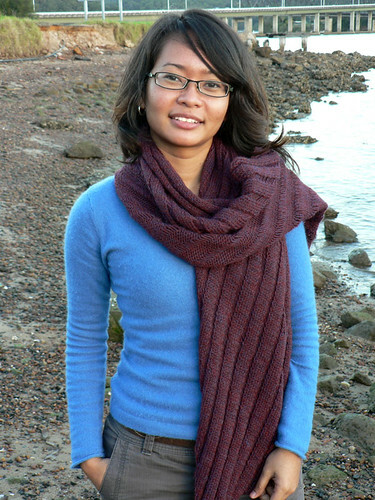 I’ve got 3 scarves lined up – a simple, mindless garter stitch scarf for charity, a Lace Ribbon Scarf for one of Richard’s students he tutors and a Clapotis for myself. I doubt I’ll get too enjoy the Clapotis much cos winter starts tomorrow and it’s the last in my list of priorities at the moment. 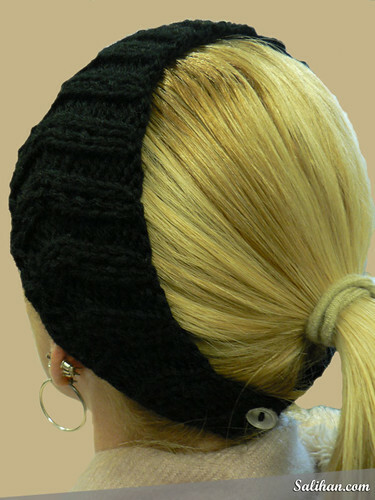 All I can do is knit on! I’m surprised by how far a 100g ball of yarn can go. I’ve knitted a pair of Fetching fingerless gloves and a Calorimetry headband for my colleague’s daughter, Ebony, from one ball of yarn and I still have about 20g left. 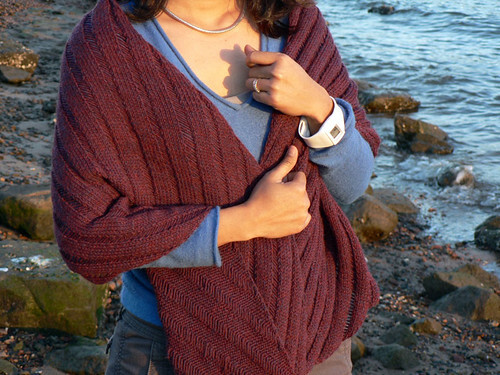 Relatively quick knits. It took me 6 days to knit all of these. I’m taking a break for the rest of the week! The autumn winds seem to be worse when you’re standing around school waiting for classes so I’m sure these will keep Eb warmer through the cold season. Rae modelled the Calorimetry headband I knitted for her daughter. It looks good against her blonde hair. 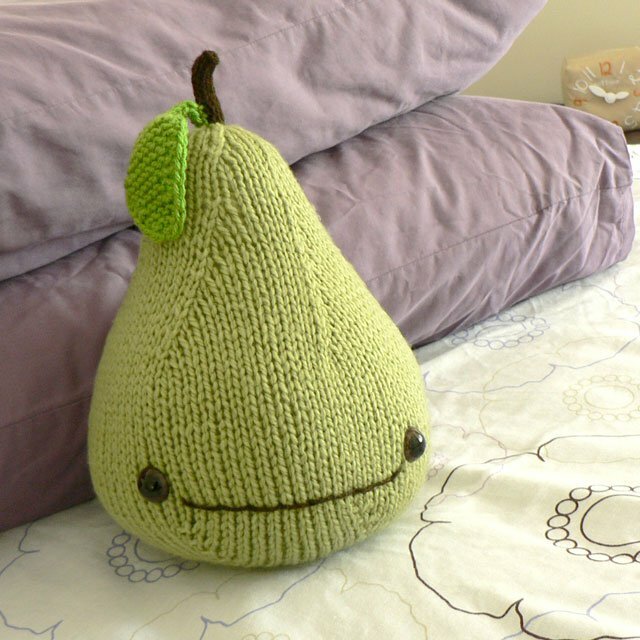 The free pattern is from Knitty. 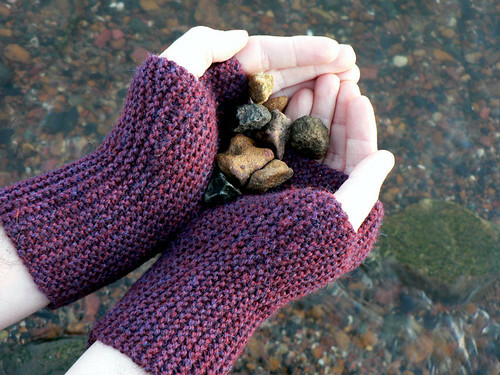 I love that the simple pattern repeats produce such stunning shell stitches which make the gloves look harder to knit than it actually was. But I don’t like the yarn I’ve used. 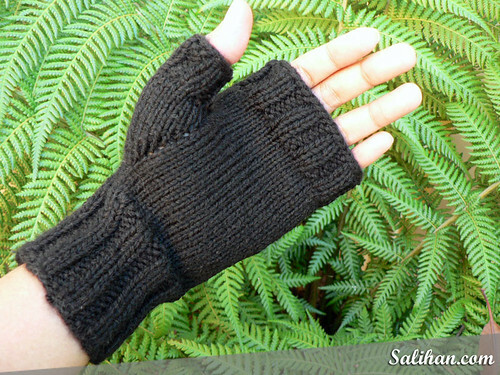 Yes, Panda Purla is soft and very cheap but the yarn is linty, making the gloves look very old, worn and fuzzy. Not the look I’m after but it’s still quite a pleasure to wear. 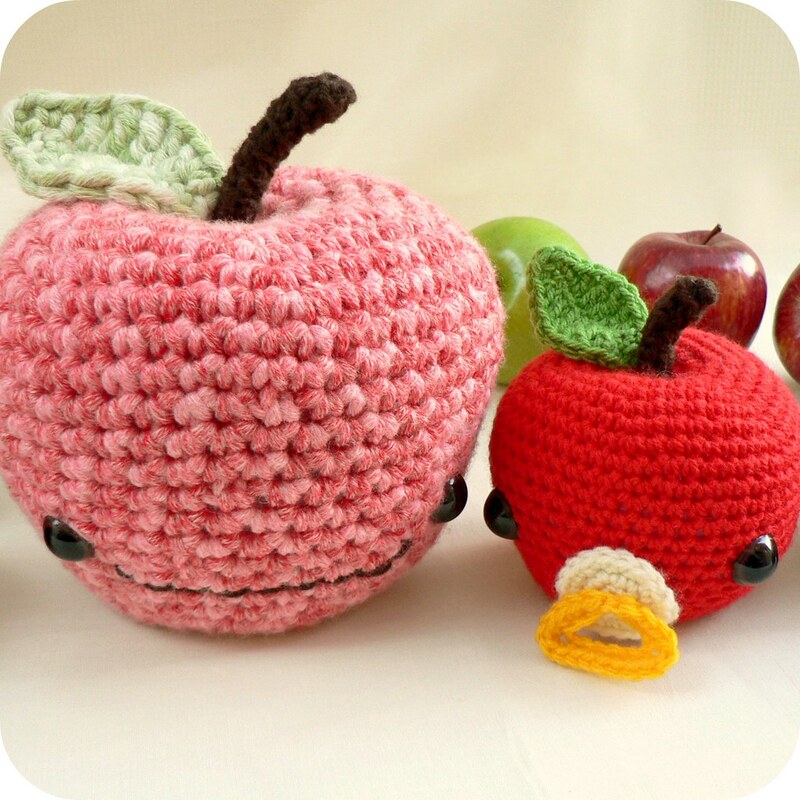 I would love to make them again with nicer yarn. could be worn as slippers! 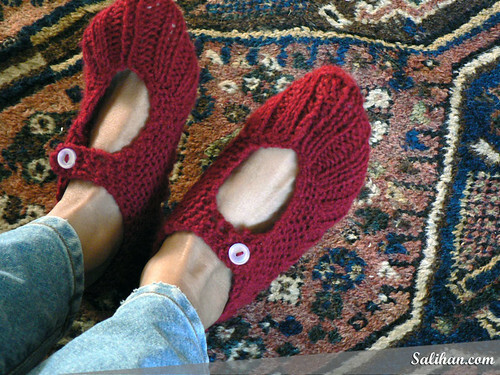 They are a rather clever design by Mrs M. S. Draves and are aptly called pocketbook slippers (for the uninitiated, pocketbook means a purse or a handbag). I made the modified version by Miss Twiss. I’m not happy with the way she designed her buttonholes as they were a off-centre and small. So for my second pair of pocketbook slippers, I’m using Knittinghelp’s one-row buttonhole instead. My mother-in-law found them rather amusing when she received her slippers and thought that her great niece, Nikita, would also love a pair. Nikita is 9 and lives in NZ. So I’m making a pair for her using Panda Zoomy which is just so thick and soft. I’m almost finished with them but I ran out of yarn! I’m thinking that I will buy one more ball of Zoomy to finish the slippers and I’ll probably have enough leftover to make a mini Fourteen scarf for her too! She would be all rugged up for the bitterly cold NZ winter!